Nothing says `Xmas` more than a real fir tree and a softly lit candle. 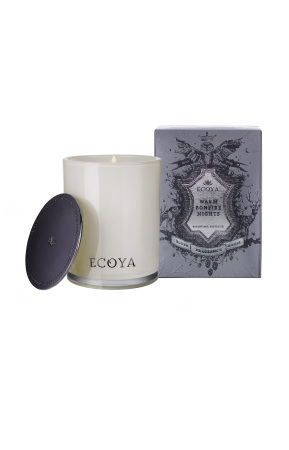 Our mini Xmas tree andï¿½ scented ECOYAï¿½ `Fresh Pine Needleï¿½ and Warm Bonfire Night candlesï¿½ are the answerï¿½ to your `what am I going to buy everyone for Xmas?` prayers. 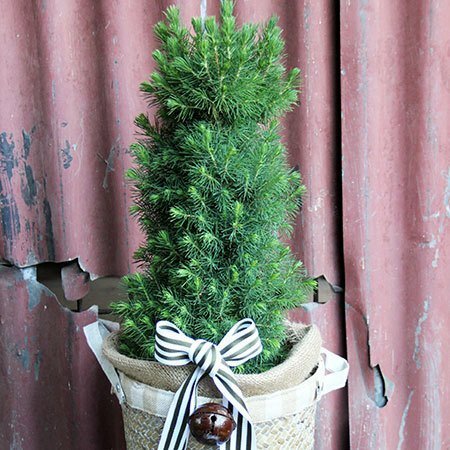 This sweet little tree is adorned with a rustic Xmas bell and presented in a seagrass basket, and the accompanying Xmas candle promises an 80 hour burn time.ï¿½ Order our mini Xmas tree and ECOYA Xmas candleï¿½ via our online florist shop or give the team a call on 1800 66 66 46. *Please note: The pictured Xmas tree and candle offer is exclusive to Sydney only.